The Dixie Chicks’ manager says the title of one of their songs sums up why Donald Trump’s inauguration team can’t book A-list talent: Hollywood isn’t ready to make nice with the president-elect. Trump’s inaugural committee is still struggling to lock in A-list talent for his big festivities, according to Hollywood insiders, and even offering ambassadorships to anyone who can wrangle top singers. “If anyone does do it, I hope that the check that they get is in the nine figures. Because it’s probably the last check they’re ever going to get,” Dixie Chicks manager Simon Renshaw told TheWrap. Renshaw said the Dixie Chicks’ “Not Ready to Make Nice” should be the anthem of anyone asked to perform. He said he knows of no top artist who would be willing to take the gig. “No one is prepared to normalize what is going on in the country right now,” said Renshaw, whose clients include “American Idol” alum Haley Reinhart and who has represented Clay Aiken and Paulina Rubio in the past. In a statement to TheWrap, Trump’s team denied offering any ambassadorships and said top-tier acts are “eager” to perform. Despite his obvious desire for Hollywood approval, Trump may only now be realizing how unpopular he is with many in the entertainment industry, Renshaw said. “Not Ready to Make Nice,” relased June 2006 in response to the backlash, is the band’s biggest hit to date. Thus far, the only artist publicly set to perform at Trump’s inauguration in January is 16-year-old former “America’s Got Talent” runner-up Jackie Evancho. 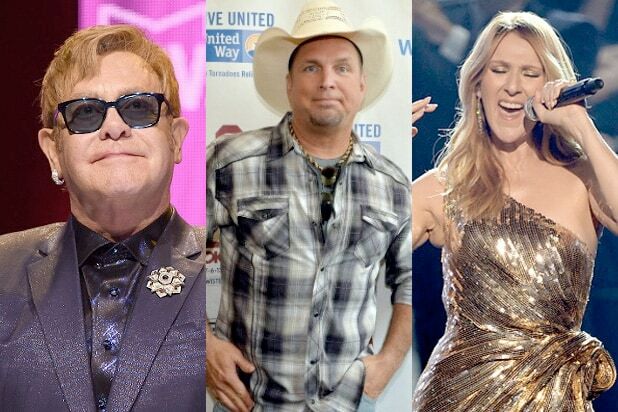 The list of artists who have publicly refused to perform include Garth Brooks, Idina Menzel, The Chainsmokers and Elton John. That’s the kind of peer pressure other artists can also expect, said Renshaw. “Sort of, ‘What on earth were you thinking,’ is the common perception,” he said. He cited two artists of the caliber the Trump team is seeking, saying they would never kowtow to him like his fellow Republicans are. “Someone like Katy Perry or a Justin Timberlake actually has a morality and it would never allow them to behave in the way that politicians are behaving around the office of the president-elect right now,” Renshaw said. But he insisted the situation isn’t as dire as it appears, noting there is still one place where Trump could easily find all kinds of “eager” talent. “His team’s got it all wrong. I think what they should be after for the inauguration is the Moscow State Circus,” Renshaw said.